That’s not an easy question. The Bible criticizes the wealthy, sometimes individually, sometimes for specific behaviors, sometimes even as a group. But it also has harsh words for some of the poor. It sometimes speaks well of wealthy persons; and even offers promises of material blessing (i.e. wealth) under certain circumstances. and the entirely merciful, just, and godly person. What a mix. Not making it easy, is he? 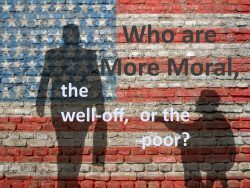 So I would say: It doesn’t help with our moral discernment to call someone a Capitalist, a Conservative, or a Libertarian – a Socialist, a Liberal, or a Democrat – a Communist or an anarchist – or even a Christian, an atheist, a Muslim a Hindu, etc. “Nazi” or “Fascist” may be actual moral descriptions, since they represent political movements with deliberately hateful and destructive agendas; Nazism in particular is not just an economic strategy. Nazism especially, it seems to me, is simply a pretend ideology in service of arrogance, violence, of all kinds of blatant evil and harsh and persistent bullying. But Communism has been used that way, and capitalism, and certainly Christianity. So the problem, rich or poor, educated or untrained, in every race and religion, is somehow INTERNAL. This is a slightly edited version of a post from 2007. 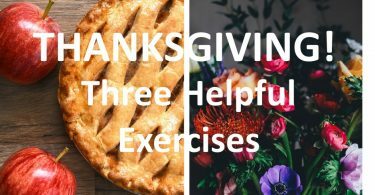 Political Worship Songs? 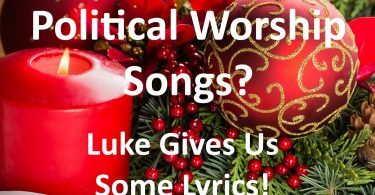 Mary and Zechariah’s Songs (in Luke 1) are Blatantly Political.